(10 Innovative and Creative Pens) From quills to fountain pens and then to a ballpoint pen. These discoveries have revolutionized the writing habits and industry. But present-day innovation in the pens has given us much more than we could think 10 or 20 years back. Technological advancement has increased the scope of these devices from just writing to many other horizons. Here is a list of 10 innovative and creative pens! 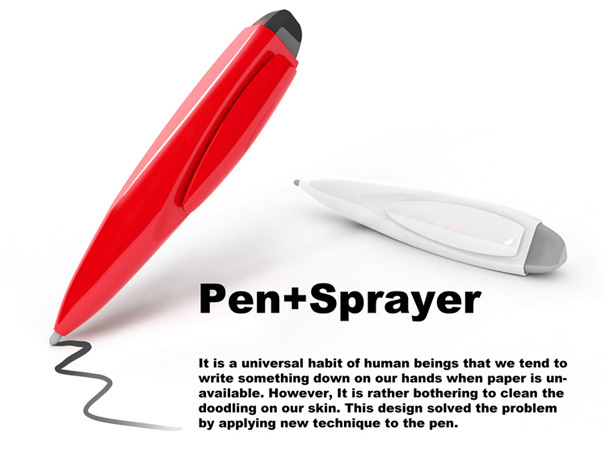 At number 1 in our list of innovative and creative pens, we have this pen with a sprayer. 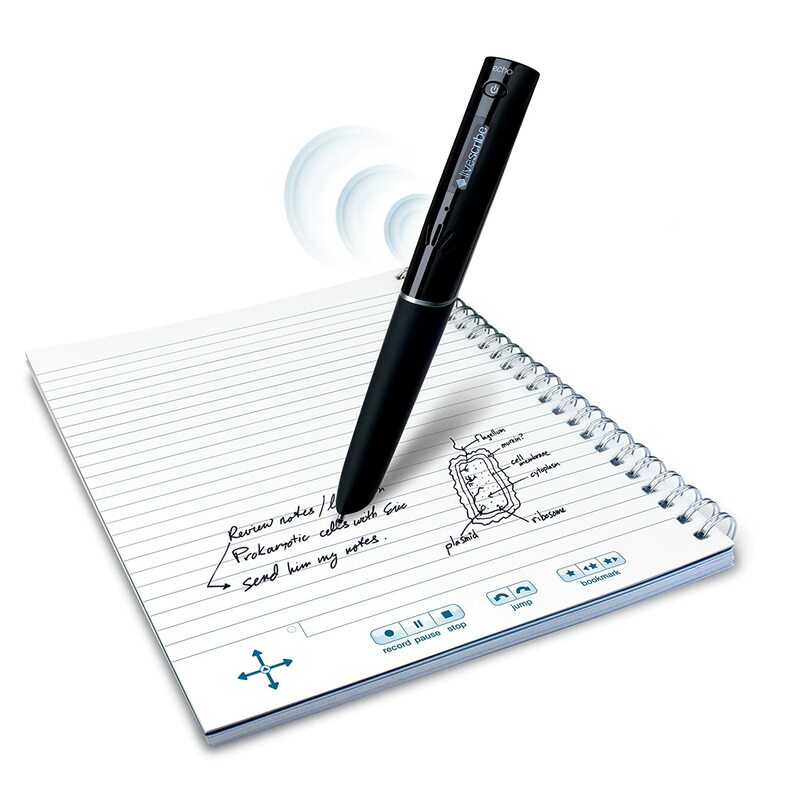 No more troubles caused by writing in the palm of your hand when a paper is not available. This Pen+Sprayer has a sprayer on one side that sprays a special chemical on the palm of the hand and turns it into a make-shift paper, which can be easily erased. Compose a song easily with this pen—with an in-built microphone that allows you to sing in. Later you write on a special digital paper tablet and the song will be transcribed into a score; it is a concept yet. This would be literally one of the most creative pens. Don’t want to write an email or SMS on PC or smartphone. Then this fountain pen will come handy. With a Bluetooth enabled smartphone you just write on a paper and circle the person’s name to send. It’s all done. 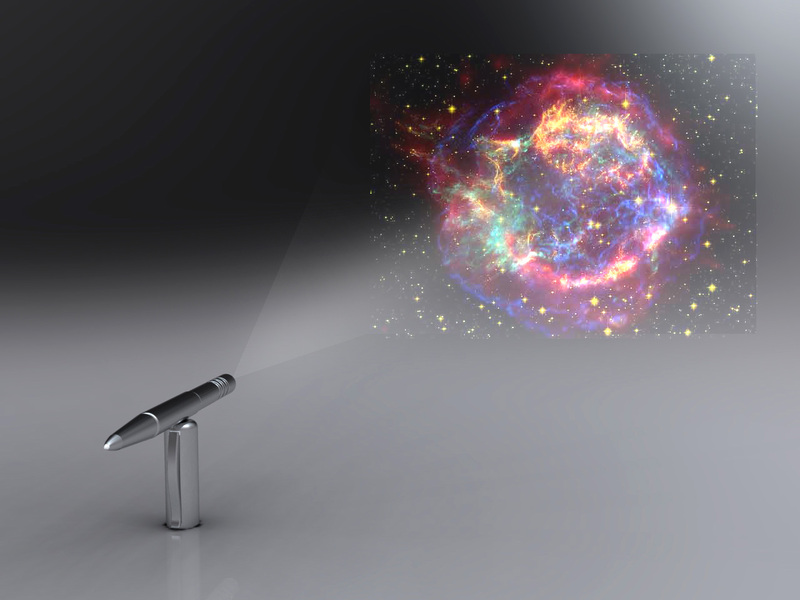 The list of creative pens also includes a pen that comes with an in-built LED projector system for delivering instant presentations. The pen has a steel body and has rings to adjust resolution and focus and works wirelessly with a Bluetooth device. 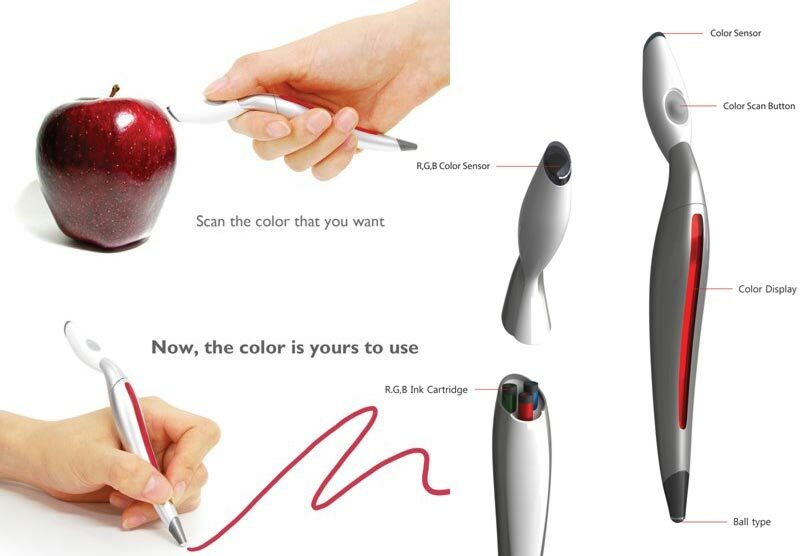 This pen can be changed into a ballpoint pen, a fountain pen, a mechanical pencil, a digital pen. There is more; a central unit with LED light, charger input, music player, and its end unit has Bluetooth connectivity. A great concept; it allows you to pick a color from anything in your surrounding. Then you can use that color in drawing. It works on sensors that recognize many colors. The list of most innovative and creative pens would be incomplete without a recorder pen. It is a great pen for note-makers. The pen has a recording unit that converts everything you write into digital format. Later transfer the files to your smartphone or PC. A compact and light-weight portable scanner. 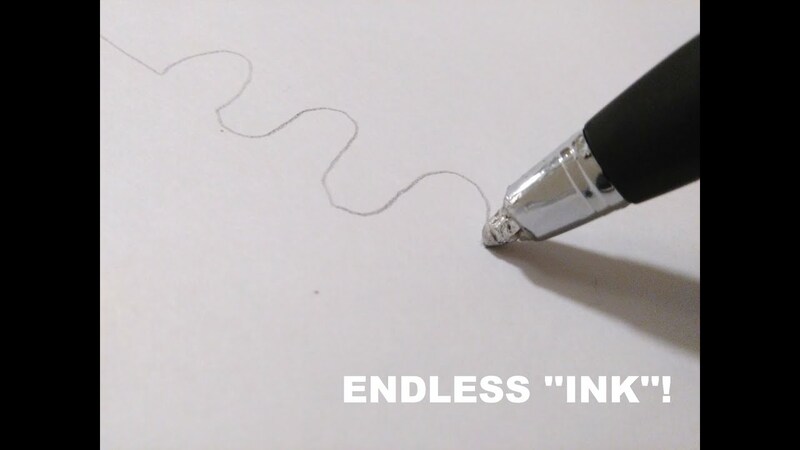 Shaped like a pen, you just need to move the pen over the page you want to scan and it will be saved in the memory. Later you can transfer it to other devices. This pen uses no ink, the pen has a nib made of metal alloy. 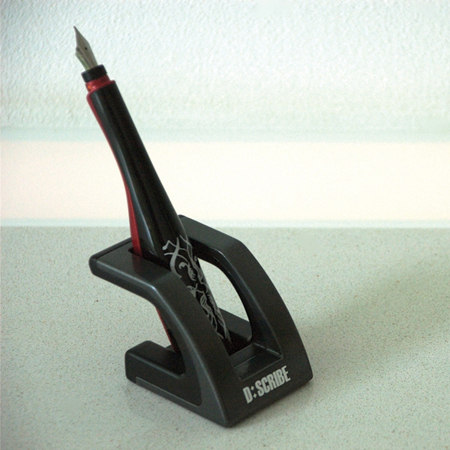 The pen deposits small amounts of alloy on the paper that results in permanent writing or drawing. 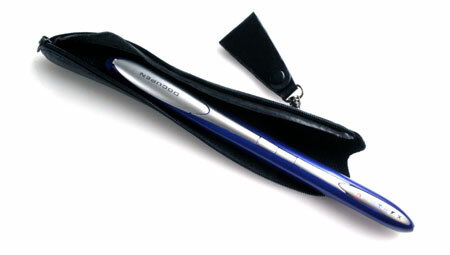 The pen provides smudge proof writing and requires no sharpening or refilling. If you need dictionary frequently while reading, then this pen can help you. This pen has camera and OCR that helps you to translate the world, just like a dictionary. Just move it over the word and it will show you the meaning.